Get this quadruple smoked gold switch in your interior armoury and your lighting game will never have been so strong. 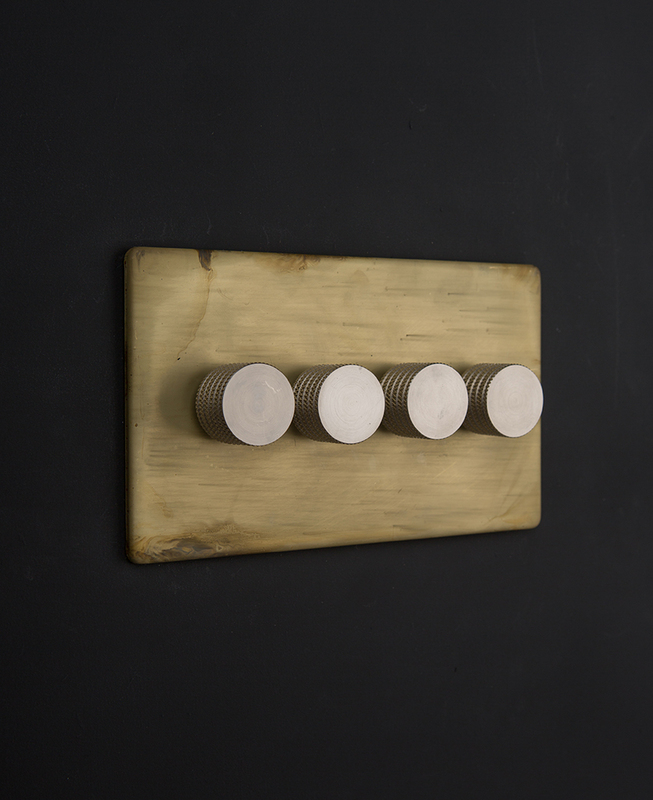 With its decadent matt brass plate and swirls of grey, brown and black running through it, this quirky switch is just the thing to add some serious good looks to your walls. We don’t do things by halves here at D&R, so when it comes to designing switches we really do like to push the boat out. 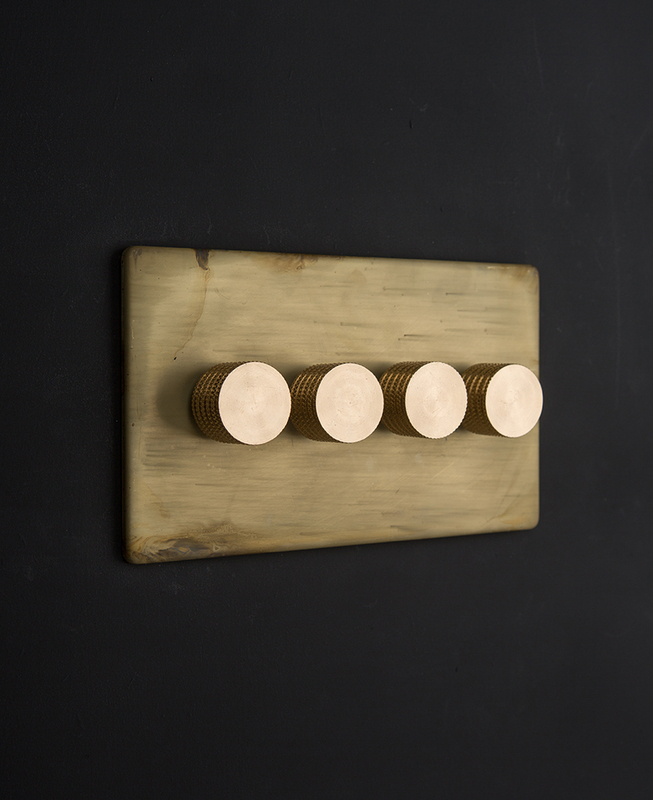 Something that looks so good but that’s also fantastic at its job is a rare thing, but we promise you that our smoked gold quadruple dimmer switch is not only an absolute stunner, it works like a dream too. 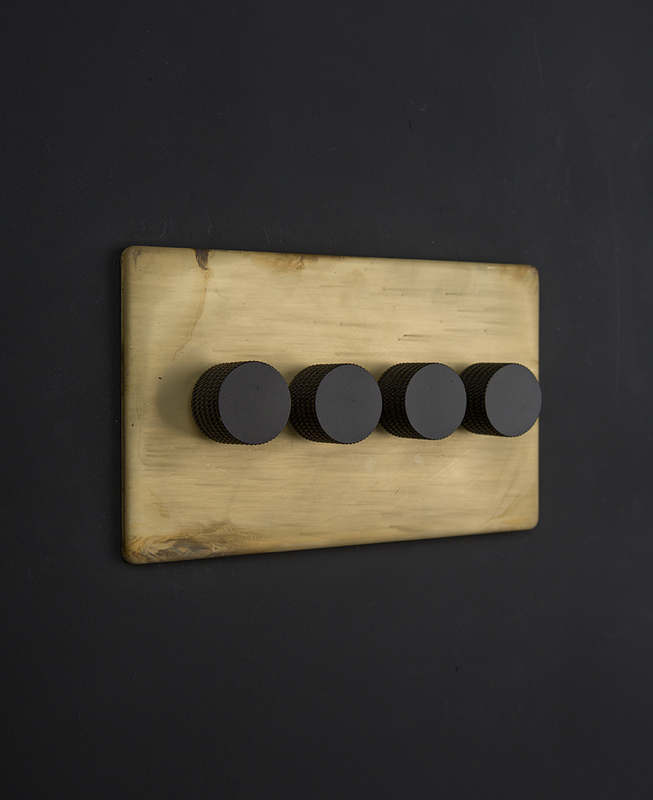 This dimmer switch is all about subtle pattern, both on the plate and on the knobs. And it’s this combination that makes it such a thing of beauty. The plate has been smoked, giving it a unique finish, meaning that each and every one that leaves our HQ is slightly different. 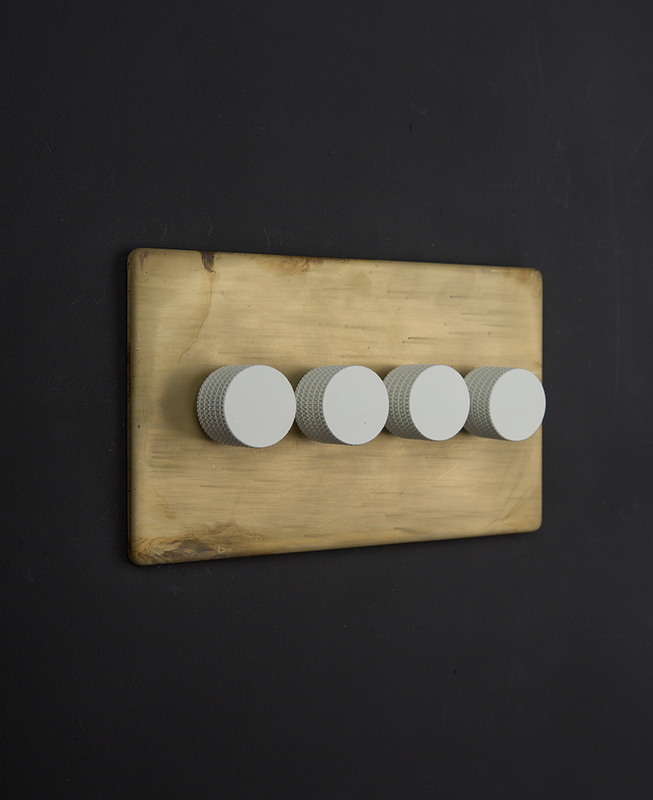 The knobs have knurled edges which not only makes them look incredibly stylish but gives them a textured finish that’s great for grabbing hold of. Not known for slinking off into the background, this dimmer switch really likes to show off. And who can blame it? So, let it do its thing and team it with a smokey colour palette. Moody greys, deep blues and black would give this switch the perfect stage for it to perform on. 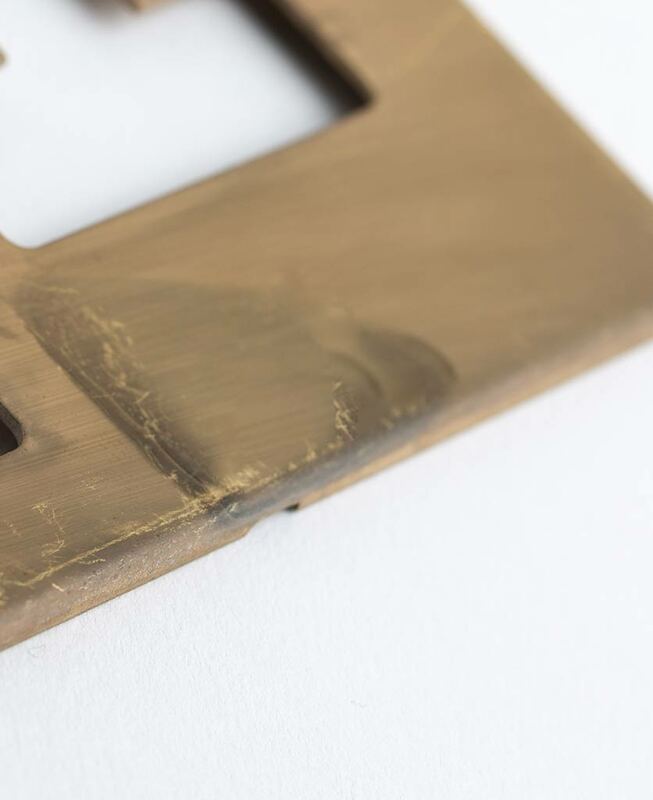 If this switch has spurred you on to bring more smoked gold into your home, then check out the rest of the smoked gold switches and sockets range. And if you’re not sure what you need, our light switches explained guide is a really useful read. 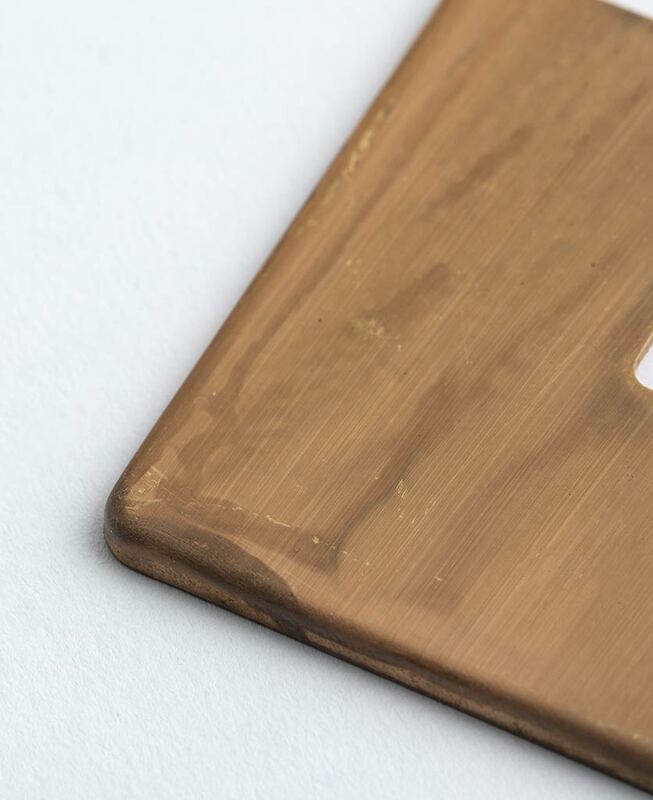 The smoked gold finish is made to age and change with wear, making each switch unique.